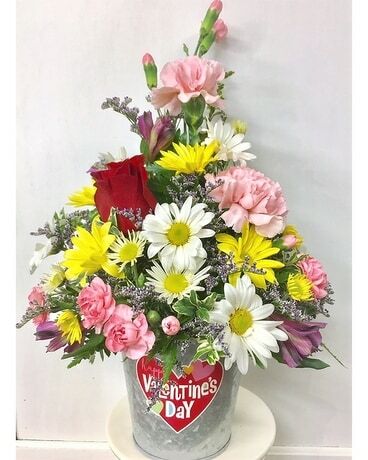 Take a look at this perfect Valentine arrangement, put together in a cute keepsake Happy Valentine's Day metal container! 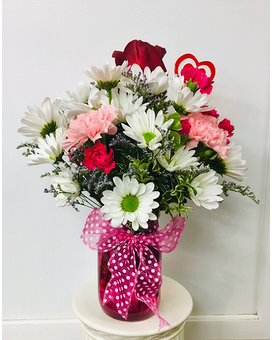 In this sweet arrangement, you will find carnations, daisies, mini carnations, alstroemeria, and a rose. Feel the love and GIVE some love to your Valentine!